Hi I’m Glenn Ferguson, resident wedding officiant and wedding planner at Bahamas Destination Wedding with another spotlight on weddings in the Bahamas. After falling in love with the Bahamas while filming “Pirates of the Caribbean” and buying Little Hall’s Pond Cay in the Exumas’ his very own private island in the Bahamas. 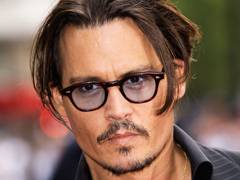 Johnny Depp whose full name is John Christopher "Johnny" Depp II is now planning to marry his fiance Amber Heard in a wedding on the beach in the Bahamas. And from all indication the couple is planning to get married in an intimate wedding ceremony on his private island in the Bahamas. According to UK based The Daily Star newspaper "They're having a small intimate ceremony barefoot on the beach in Little Hall's Pond Cay. "Afterwards they'll have a barbecue where some of Johnny's musician pals are going to perform, followed by limbo dancing. "Neither Johnny nor Amber want a big, glitzy Hollywood bash. They are both very private." Johnny and Amber will join an ever increasing list of celebrities that have had weddings in the Bahamas including Mariah Carey and Nick Cannon, Javiar Bardem & Penelope CruzNicole, Murphy & Michael Strahan (Former Player with NFL’s NY Giants & TV Show Host ), Michelle Heaton & Hugh Hanley. Depp who was previously married has been dating actress and model Amber Heard since 2012 after the pair met on the set of the film The Rum Diary. The couple became engaged on Christmas Eve in 2013. If questions about planning a Bahamas destination wedding then call me Glenn Ferguson your Bahamas wedding planner and wedding officiant at 1-(242)-327-2453 and we will get you the help you need to plan an amazing wedding in the Bahamas. Looking forward to talking to you soon about destinations weddings in the Bahamas.